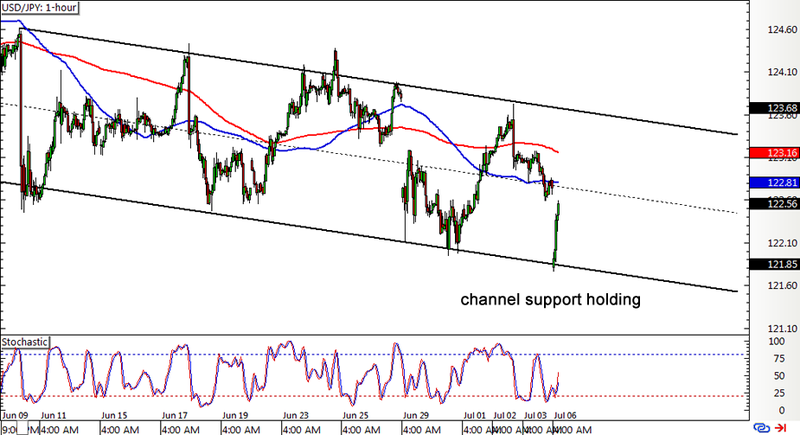 First up, here’s an update on the USD/JPY descending channel I showed y’all last week. Support at the bottom of the channel near the 121.50 minor psychological level held like a boss and the pair looks ready to make its way back up to the top. Stochastic is already exiting the oversold region, suggesting that dollar bulls might charge and lead to a test of the channel resistance near the 123.50 minor psychological mark. However, the short-term 100 SMA is still moving below the 200 SMA, which means that bearish pressure remains strong. If sellers stay in control, the pair coul resume its drop upon filling the weekend gap near the mid-channel area of interest and 100 SMA resistance. 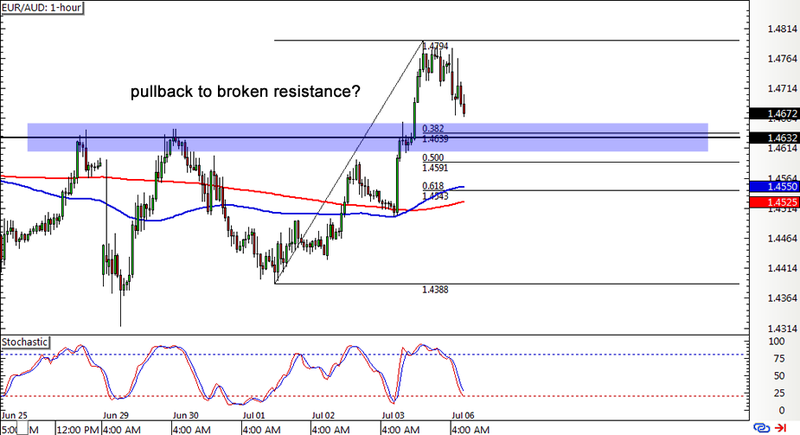 Next, here’s a potential break-and-retest play materializing on EUR/AUD’s 1-hour forex chart. The pair recently surged past the resistance around 1.4630 and zoomed close to the 1.4800 major psychological level before pulling back. Using the Fib tool on the latest swing high and low shows that the 38.2% retracement level is right smack in line with the broken resistance area, which might now hold as support. Stochastic is pointing down for now, confirming that the pair is in the middle of a correction, while the 100 SMA is above the 200 SMA, indicating that the uptrend could carry on. A larger retracement could last until the 61.8% Fib, which lines up with the moving averages. 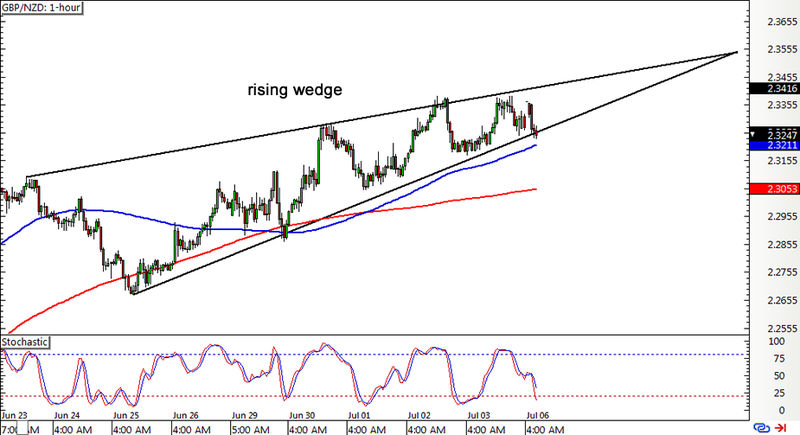 Lastly, check out this neat rising wedge pattern forming on GBP/NZD’s 1-hour forex time frame! The pair is currently testing the support and might be due for a bounce since stochastic is almost in the oversold zone. If that happens, another test of the wedge resistance could take place. After all, the 100 SMA is above the 200 SMA for now, which suggests that the uptrend might continue. However, if pound bears gather enough momentum, they could push for a break of the wedge support and spur a 600-pip drop, which is roughly the same height as the chart pattern. Similarly, an upside break from the wedge resistance could lead to a 600-pip rally as well.